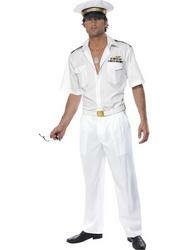 Wow, Topgun has never looked this hot before ! 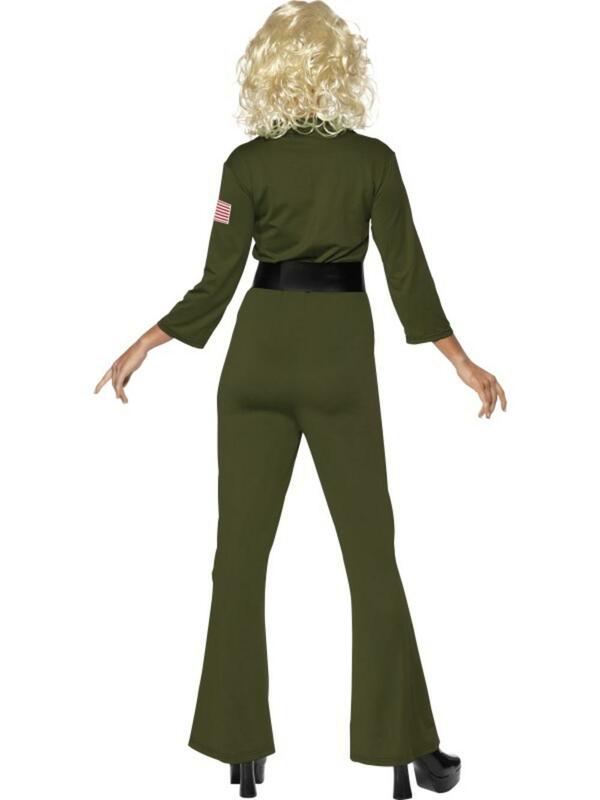 Accompany your Iceman or Maverick to a Fancy Dress party in style with this fantastic oficially licensed Ladies topgun aviator fancy dress costume. This flattering aviation outfit comprises of a dark khaki green jumpsuit with long sleeves and slightly flared trousers. 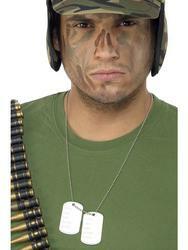 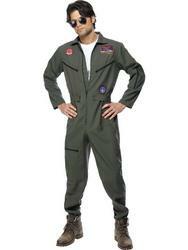 Top Gun pilot badges are attached to the chest and sleeves giving you the realistic pilot look. 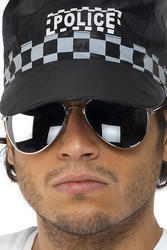 The costume is completed with a contrasting dark brown leather look belt. 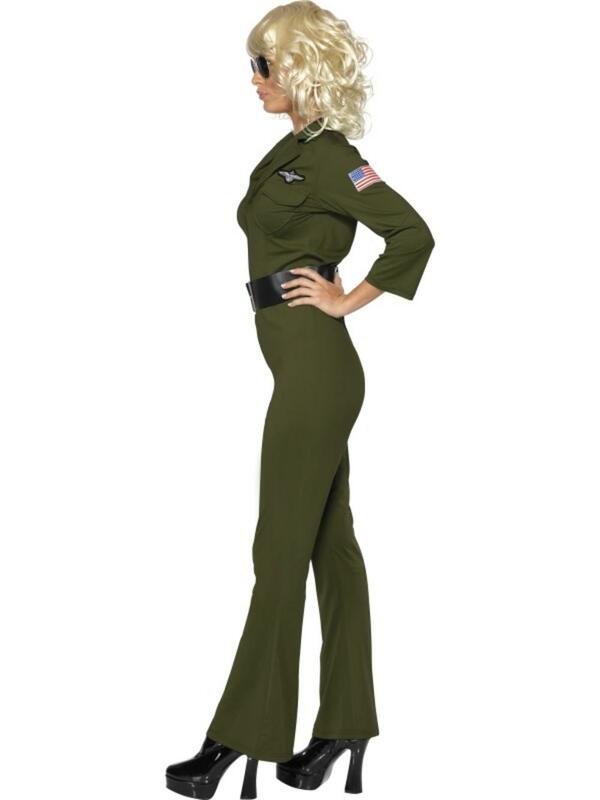 You'll be flying high at any occasion in this amazing Top Gun Aviator costume!